Lyon police tore up a public art installation designed to transform a derelict patch of land after officers mistook it for a cannabis farm. Police in the French city of Lyon tore up a public art installation designed to transform a derelict patch of land after officers mistook it for a cannabis farm. And more to the point the plants weren’t cannabis at all. The living artwork, called Waiting Area conceived by artist Thierry Boutonnier and architectural firm Fabriques Architectures Paysages. Over the course of the festival, a team of artists and architects mowed and harvested the land, laying down a combination of barley, flax, and hemp seeds and transforming the 4,000 square meter plot of wasteland into an “agricultural ecosystem” for the Lyon Architecture Biennial 2017. The purpose ofWaiting Area is to inscribe a rural, plant and animal cycle in an urban temporality, creating a new type of urban agricultural sociability. 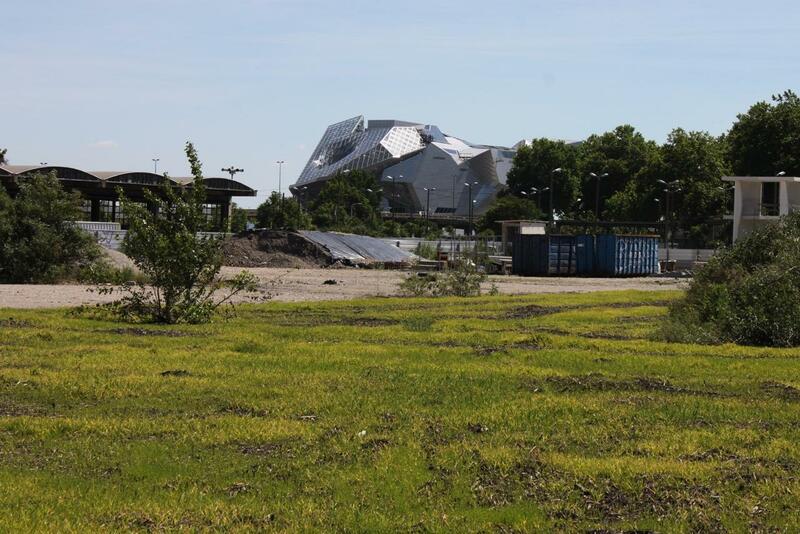 The officers tore up the plants on June 26th after spotting them during a routine patrol through France’s second largest city’s Confluence district – an industrial wasteland that is being transformed through Europe’s largest regeneration project. The police claimed to be unaware of the installation, and wasted no time and jumped into action pulling out the plants one by one, reported local newspaper Le Progres. According to the police, the fault lay with the organizers who they argue should have put up a sign to indicate it was artwork. The artwork was designed to “temporarily reactivate a place that in the future is going to undergo a profound change but which today is dormant”.